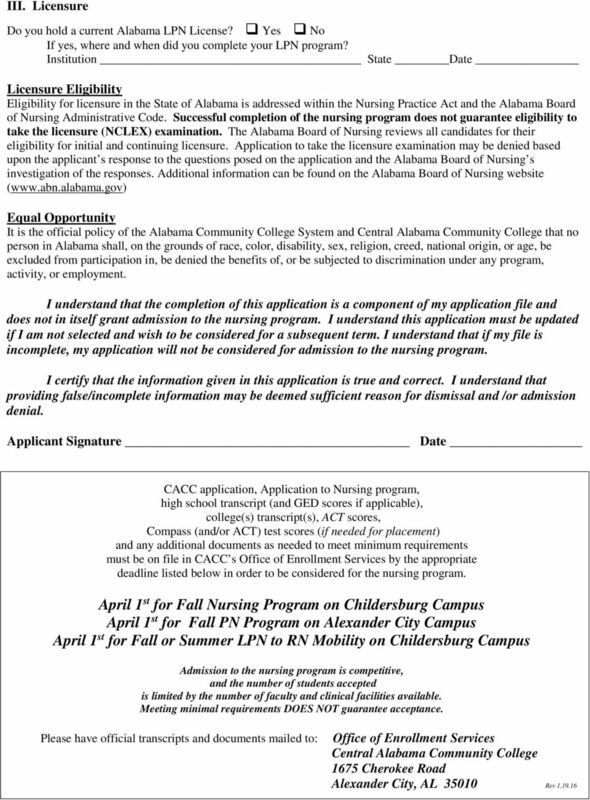 Download "Making Application to Nursing at Central Alabama Community College. Be sure your application is complete before the appropriate deadline!" 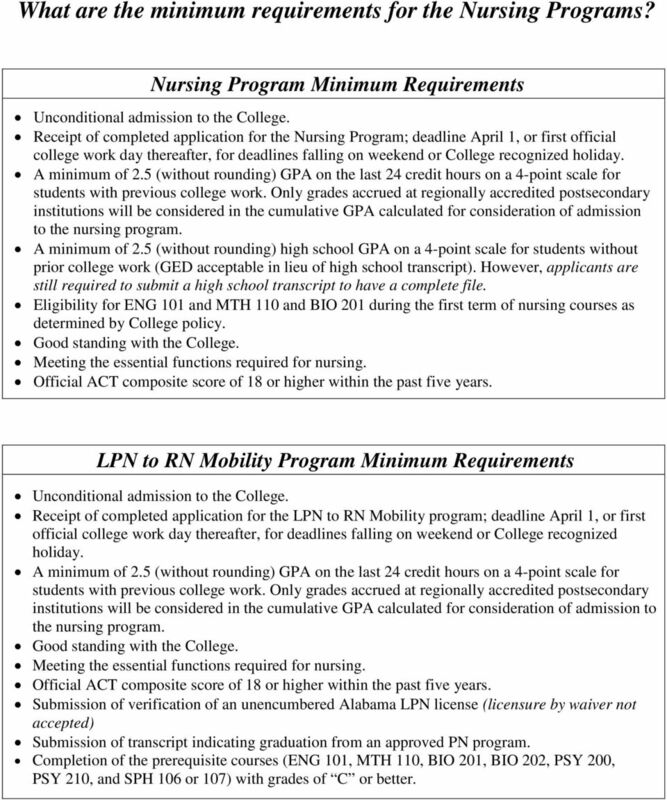 2 What are the minimum requirements for the Nursing Programs? Nursing Program Minimum Requirements Unconditional admission to the College. 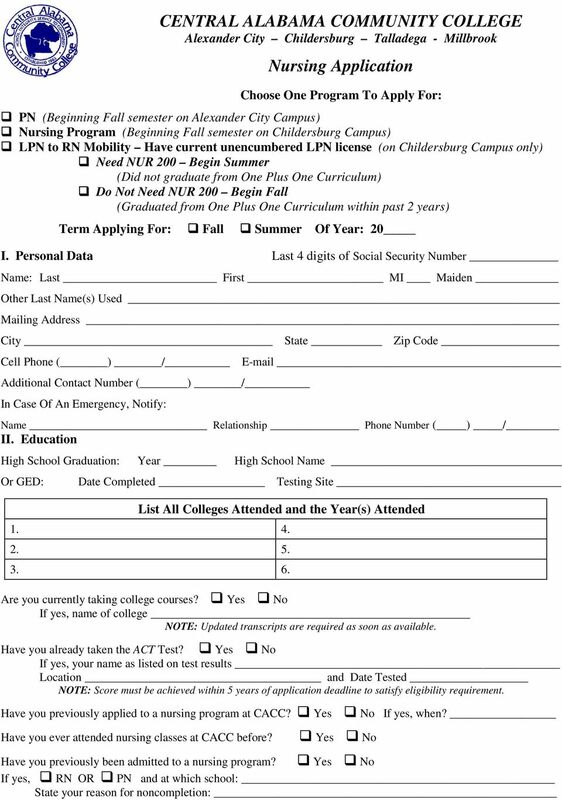 Receipt of completed application for the Nursing Program; deadline April 1, or first official college work day thereafter, for deadlines falling on weekend or College recognized holiday. A minimum of 2.5 (without rounding) GPA on the last 24 credit hours on a 4-point scale for students with previous college work. Only grades accrued at regionally accredited postsecondary institutions will be considered in the cumulative GPA calculated for consideration of admission to the nursing program. A minimum of 2.5 (without rounding) high school GPA on a 4-point scale for students without prior college work (GED acceptable in lieu of high school transcript). However, applicants are still required to submit a high school transcript to have a complete file. Eligibility for ENG 101 and MTH 110 and BIO 201 during the first term of nursing courses as determined by College policy. Good standing with the College. Meeting the essential functions required for nursing. Official ACT composite score of 18 or higher within the past five years. 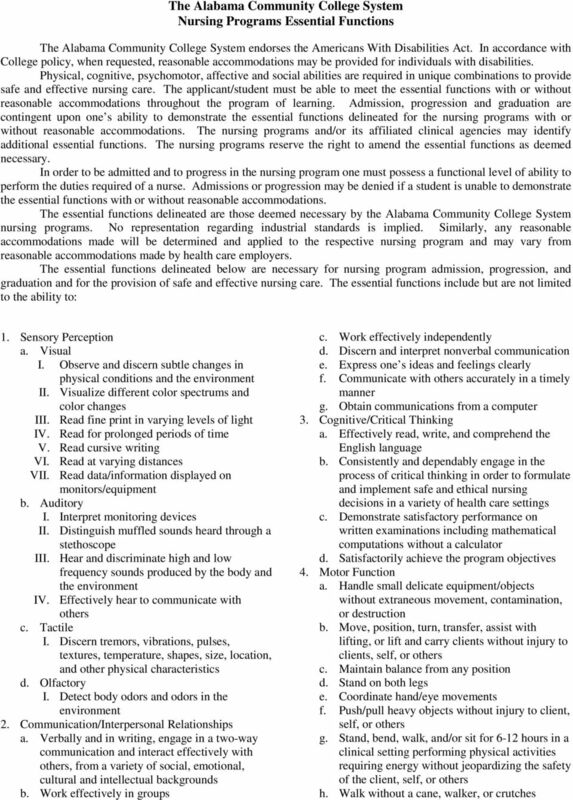 LPN to RN Mobility Program Minimum Requirements Unconditional admission to the College. 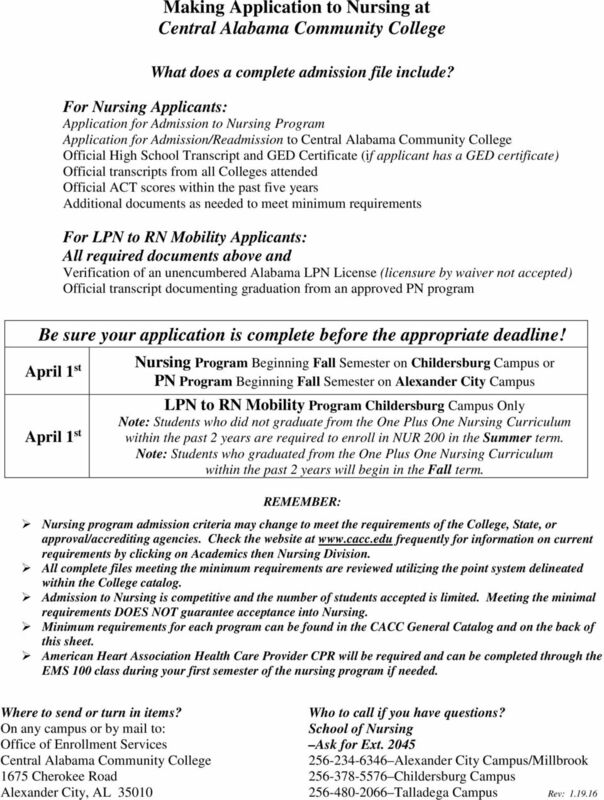 Receipt of completed application for the LPN to RN Mobility program; deadline April 1, or first official college work day thereafter, for deadlines falling on weekend or College recognized holiday. A minimum of 2.5 (without rounding) GPA on the last 24 credit hours on a 4-point scale for students with previous college work. Only grades accrued at regionally accredited postsecondary institutions will be considered in the cumulative GPA calculated for consideration of admission to the nursing program. Good standing with the College. Meeting the essential functions required for nursing. Official ACT composite score of 18 or higher within the past five years. 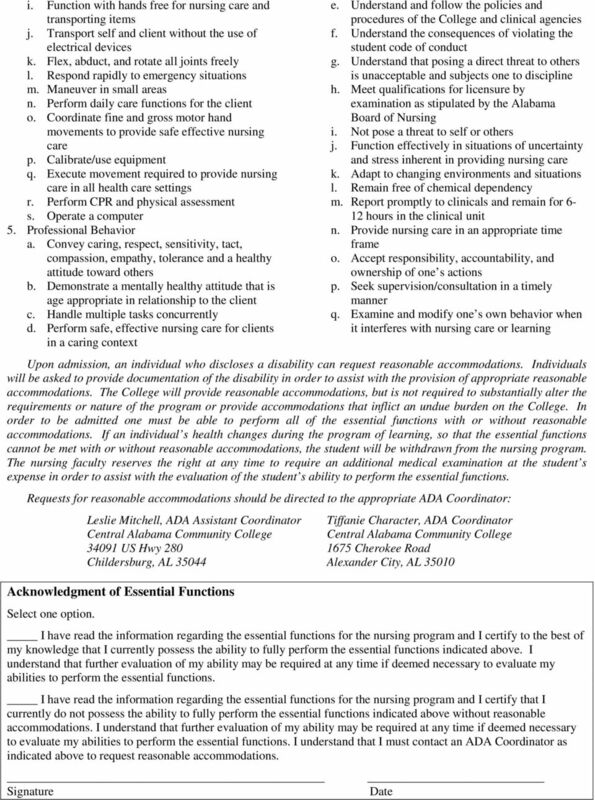 Submission of verification of an unencumbered Alabama LPN license (licensure by waiver not accepted) Submission of transcript indicating graduation from an approved PN program. Completion of the prerequisite courses (ENG 101, MTH 110, BIO 201, BIO 202, PSY 200, PSY 210, and SPH 106 or 107) with grades of C or better. Sherman College of Chiropractic Application for Admission Questions? Call: 800-849-8771, ext. 221 Email: admissions@sherman.edu Complete application in its entirety. Incomplete applications will be returned.